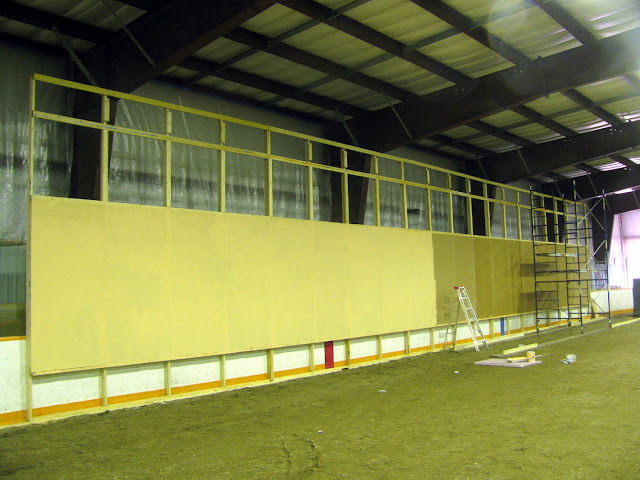 Time to start prepping the newly-installed bottom row of twenty 4' x 8' panels with 100% acrylic polymer primer...the good stuff. 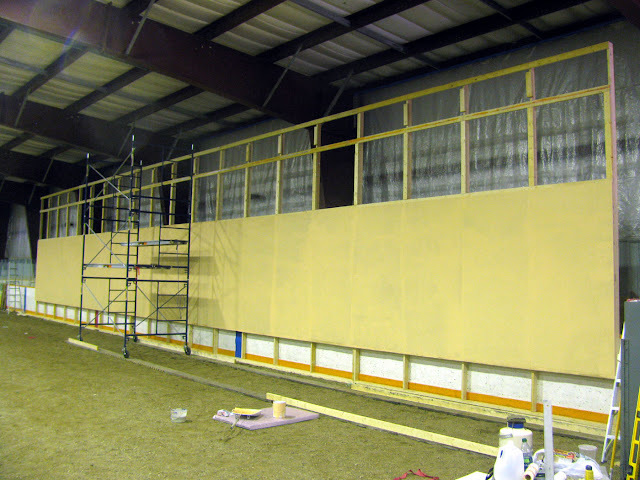 Working my way down yet another eighty-foot expanse of wall with the primer. Finished that step of priming, now it's time to re-mount the row above for perfect registration down to the bottom. 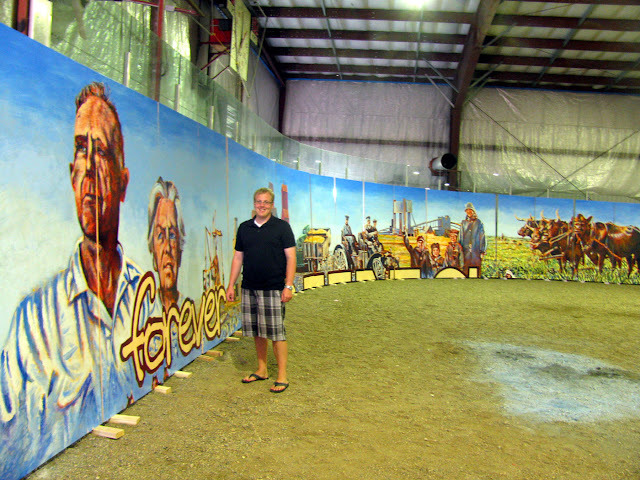 Daniel Bushman from our local newspaper ( The Watrous- Manitou) popped in yesterday to interview me and Lil Sather -one of the big driving forces behind the project and member of the 100 Years Young Centennial Mural Committee- for a feature article that will appear in next week's edition. 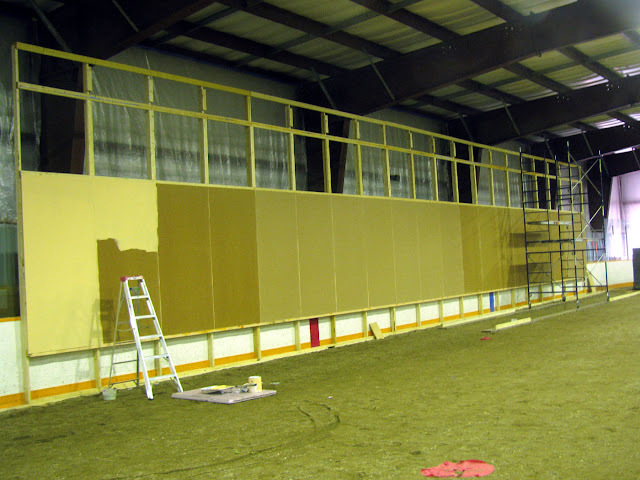 Hope they print some color shots :) Note my faithful friend and persistent assistant Sherwin Peterson affixing the panel with his trusty cordless drill while I roll on the last few square feet of primer. Daniel Bushman of TWM posing inside the 'curve' of the top twenty panels as they temporarily rest in the corner of the rink. 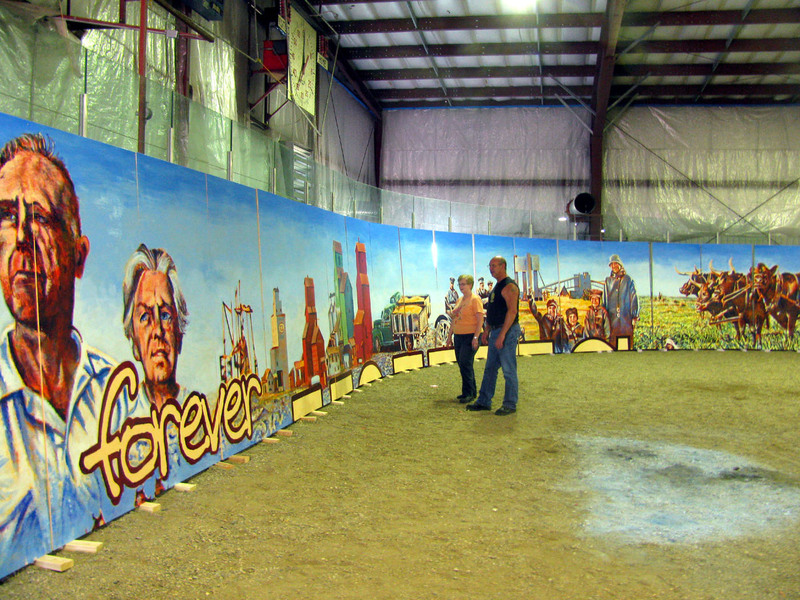 Lil Sather and Sherwin Peterson look at the top section of the 'forever YOUNG' mural 'in the round'. 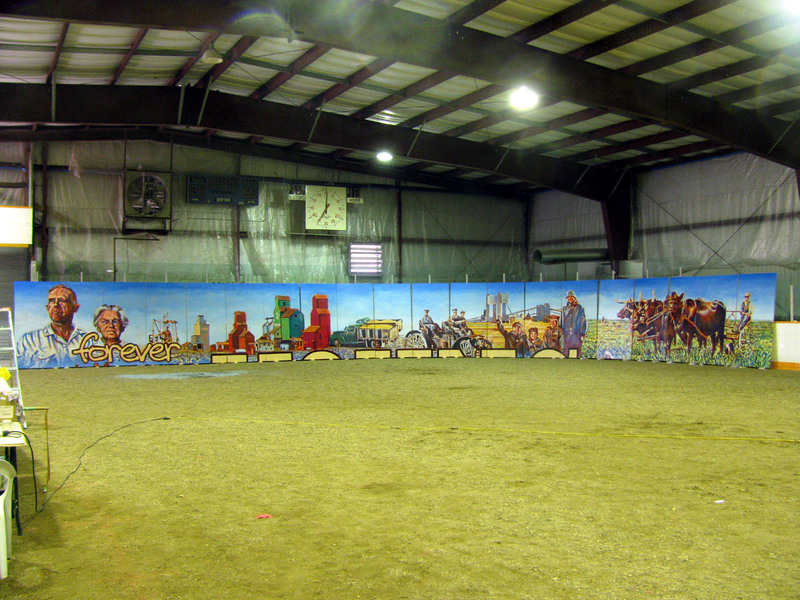 Mural in the round...sort of. The effect of placing the panels in the curve of the corner of the boards (of the rink) is really interesting. Makes me think of a 'diarama'. In this position, it takes on an added three-D effect, kinda like an IMAX screen that fills your whole field of vision. Orange you Glad that Phase II is Started?